Let’s be honest, there’s nothing left to know about the 992 era of 911 beyond what it’s like to drive. The covers have been whipped off it in California, the obligatory passenger rides have taken place and the tech deep dive has been endured. This is, as expected, the most capable, most efficient, most tech-laden 911 there has been in nearly 60 years. The only thing left to discover is how it goes. It has something to prove, too. Keep the 992 too close to the 991 from which it’s ultimately derived and the cries of lazy complacency will be heard from here to Hockenheim. 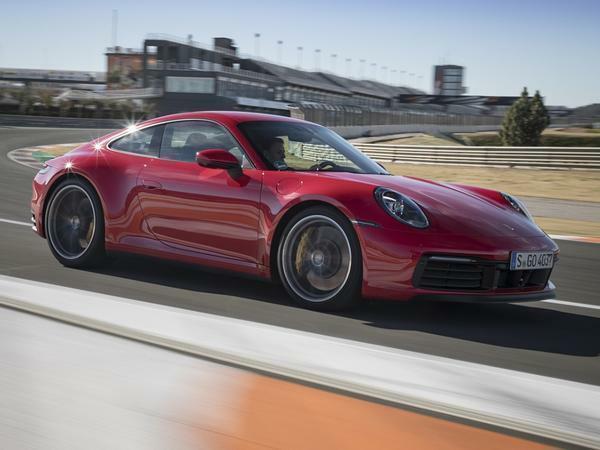 Make it basically a two-door Panamera with a flat-six and the protests about Porsche abandoning sports cars for good will make the conversation around Gregg’s vegan sausage rolls look sanguine. Maybe. 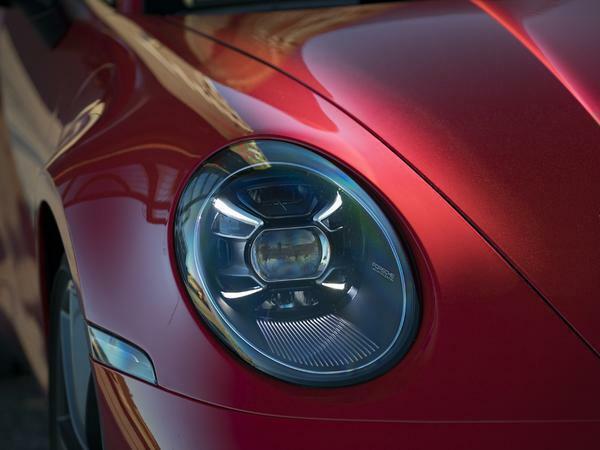 The point being that, despite range diversification, the 911 is Porsche‘s self-proclaimed icon. Its influence can be felt throughout the range and, while not the best seller for a while, it’s quite clearly a very important car. 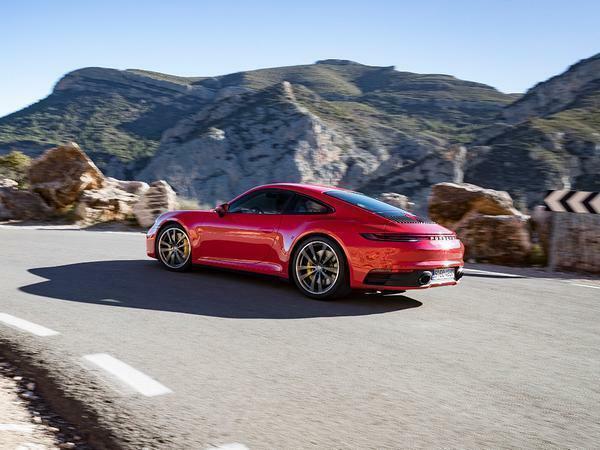 Moreover, the 992 is not short of rivals. 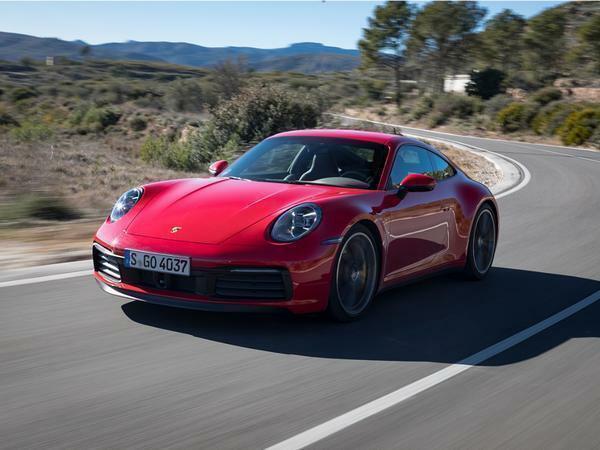 A Carrera 4S is now very nearly a £100,000 car before options, at £98,418; more capable and faster than ever it might be, but a six-figure price is a now a more easily achieved threshold than ever for a ‘regular’ 911. Once you’re there, surely a temptation arises to move into more powerful sports cars, or even junior supercars. This needs to be good. Time behind the wheel begins at the completely unfamiliar Circuito Ricardo Tormo, with one lap for a warm up and four to try and keep up with the instructor. Who’s in a GT3 RS. And telling you to keep up. And getting further and further away, with one hand on the wheel and the other holding the radio. Despite the stress of the situation, the 911 is very, very good on circuit. For a plain old Carrera it’s borderline brilliant. 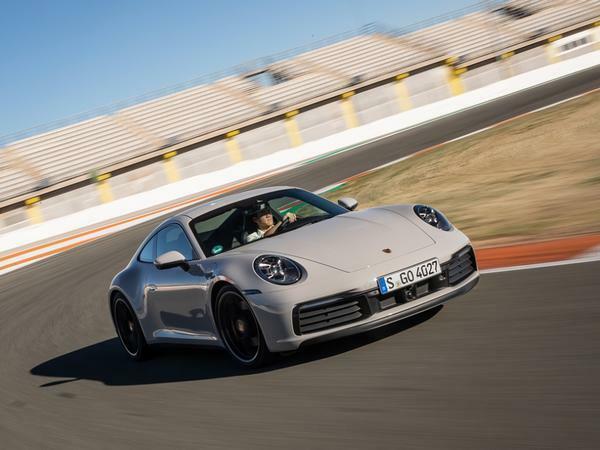 The test car was fitted with the four-wheel steer, 10mm lower PASM Sport chassis, PDCC (Porsche Dynamic Chassis Control, the active anti-roll system) and ceramic brakes; not an unrepresentative spec, basically, apart from maybe the discs, and yet the car was immense. 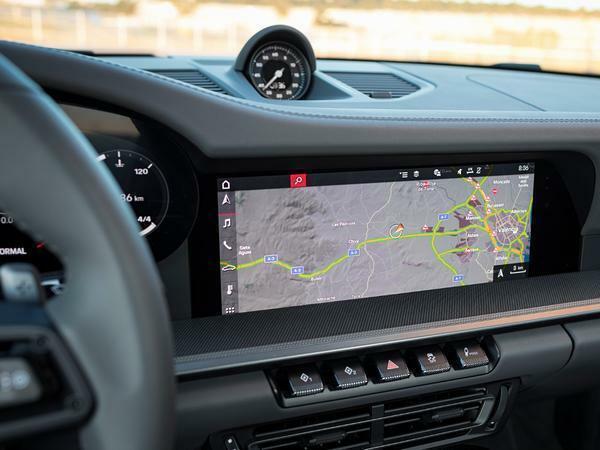 Precise, accurate, fast, engaging, sufficiently tactile and tremendously capable, it surpassed even the loftiest expectations for it as a circuit car. The turbo flat six was very good before; with reworked turbos, new injectors and extra power it’s better than ever. Response is keener from low revs, the reach more exciting higher up and the mid range strong enough to lug out of bends a gear higher than necessary. Because you’ve forgotten to change down. A chassis that was eager is now even more responsive than before; the steering ratio is 11 per cent more direct which, combined with the four-wheel steer, gives an uncanny directness and alertness to the front end. 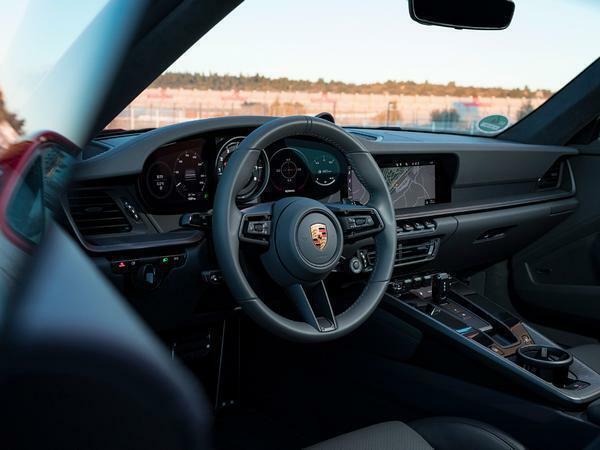 With some load through the wheel there’s information coming back, though any driver familiar with GT 991s – leave alone anything older – may find it a little lacking. 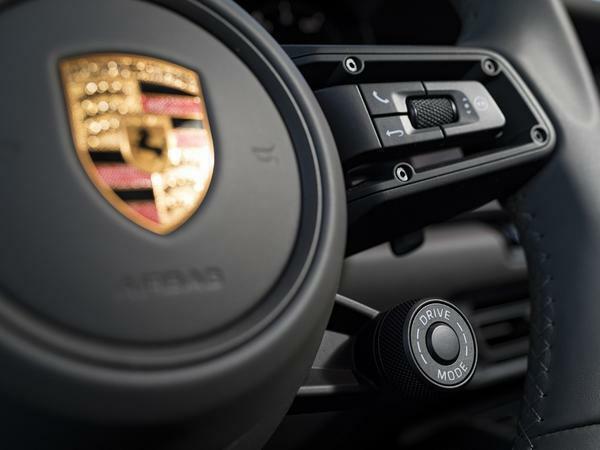 A PDK gearbox that arguably didn’t require improvement is more decisive again, with the paddles or without. 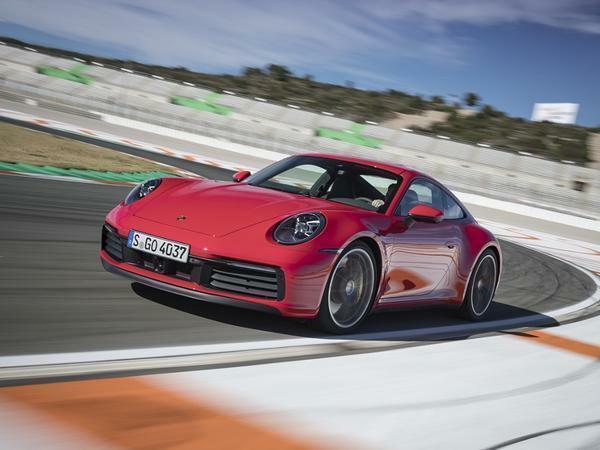 There’s even a chassis that knows a little of 911 adjustability and communication, albeit at pretty high commitment levels: a lift of the throttle accurately trims a cornering line, and trailing the brakes into a corner – or massively outbraking yourself, whichever is preferred – can get the rear swinging usefully to nudge the front somewhere nearer the apex, before the assists subtly but decisively get involved. 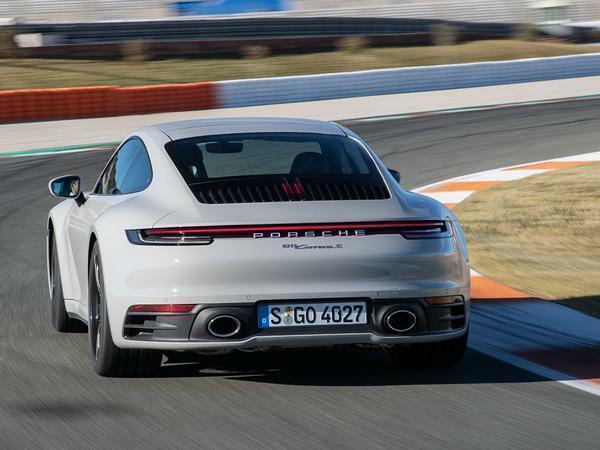 Oh yes, and the 992 feels wholly up for the punishment, dampers taking gratuitous kerb nibbles, tyres resiliently grippy and brakes resolutely firm. 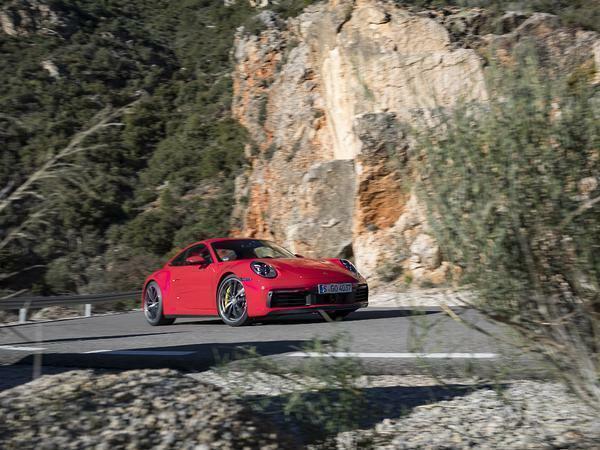 The latter is to be expected, of course, though everything from this brief stint would imply any 992 could take a proper track pasting. Let’s hope buyers explore the huge vat of ability that’s certainly here. 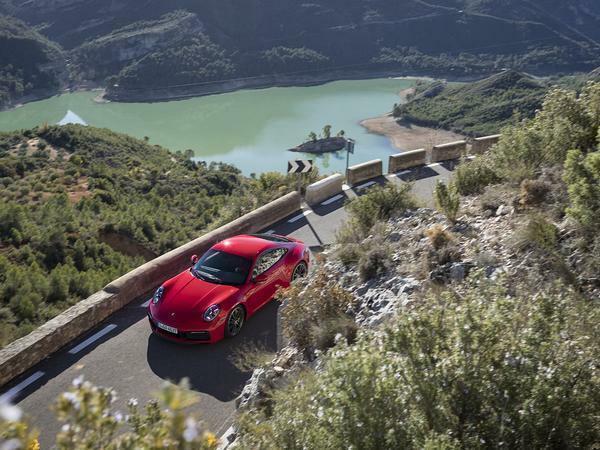 To switch from an eye-opening track drive to a more sedate road route is always going to be less memorable, though the difference seems the more stark in a 992. 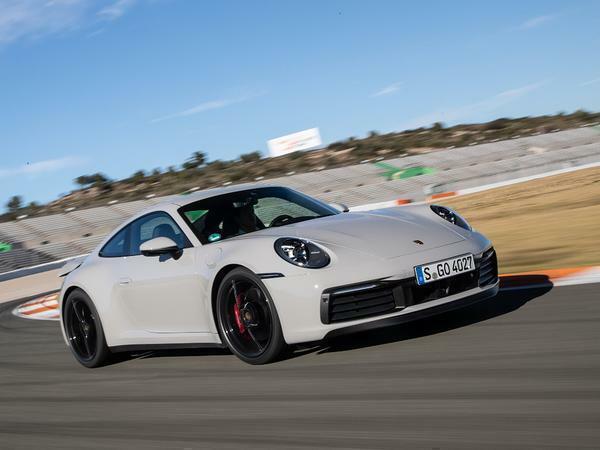 It’s a familiar grievance from the 911, and will sound as unjustifiably harsh as it did previously, but the car simply isn’t as entertaining and engaging as you would either hope or expect at road speeds. In something like a Sports Series McLaren, ordinary speeds proffer opportunity to revel in the steering, or the view out, or the spooky ability of the ride to both communicate and cosset. An Aston Vantage smothers its driver with opulent materials and a rousing soundtrack. Look over the shoulder in an Audi R8 and there’s a 5.2-litre V10. 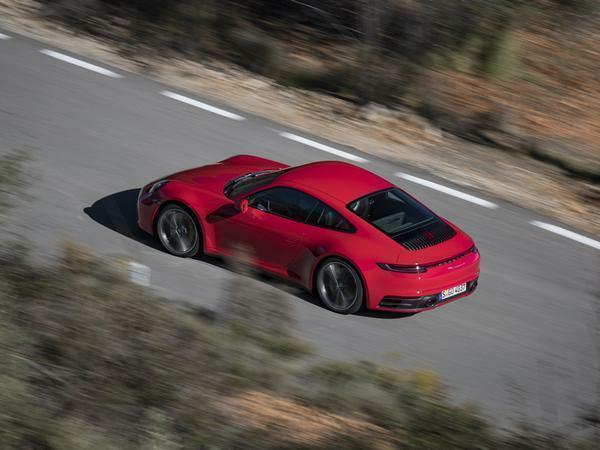 Tremendously sorted though the 992 is, assured and able and almost freakishly talented, there’s precious little surprise and delight at road speed. Is it relevant when most customers will embrace the extra refinement and comfort? Probably not. But maybe so. 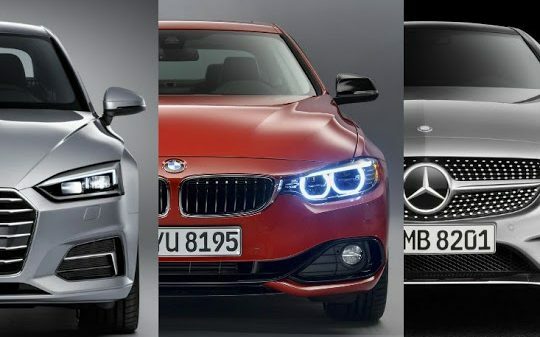 The car is polished, slick, unobtrusive – the gearbox flawless, steering accurate, ride remarkably accommodating despite 21-inch rear wheels. The 992 is perhaps guilty of feeling a little plain at points though, which it can arguably ill afford to do at this money. 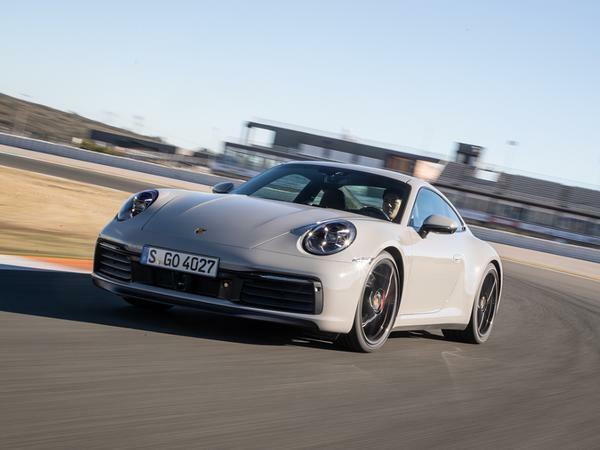 It’s hardly like only rivals know a better compromise, either; the joy of recent GT Porsches – you knew this was coming – has been in their ability to combine focus and excitement with ease of use. It’s probably harsh, one person’s aloof being another’s appropriately luxurious, but it would be nice to have a closer relationship between what the track has proved to be a phenomenally good car and what you as a driver experience on the road . Of course one solution is to drive a bit quicker. 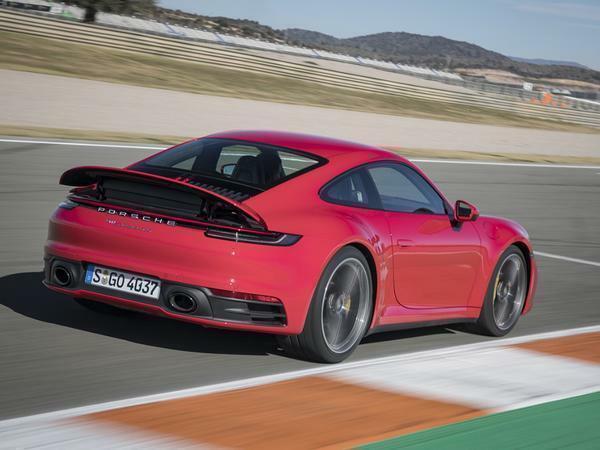 Then the (optional) exhaust comes alive, snorting and howling through that vast powerband, the wastegates chuff like it’s a classic turbo Porsche racer and the front will even a bob a tad on bumpier surfaces in the softer suspension mode. 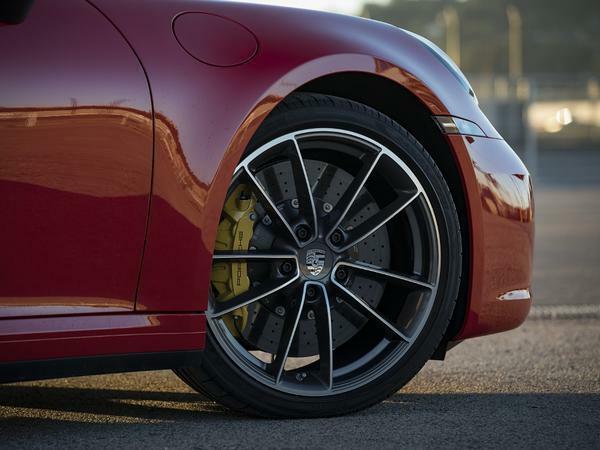 Traction can be challenged a bit in tighter turns, the brakes (now standard iron) just get better and better and the steering is lucid and rewarding – the more the driver pushes, the more the 992 gives back. Trouble is, on the road that starts to feel a little irresponsible, such is the ability of the car and the speed that’s a direct corollary. That’s leaving aside the size as well, which feels a topic to best revisit in the UK. However good those rear arches look in the mirrors, they’re never entirely out of mind when driving. 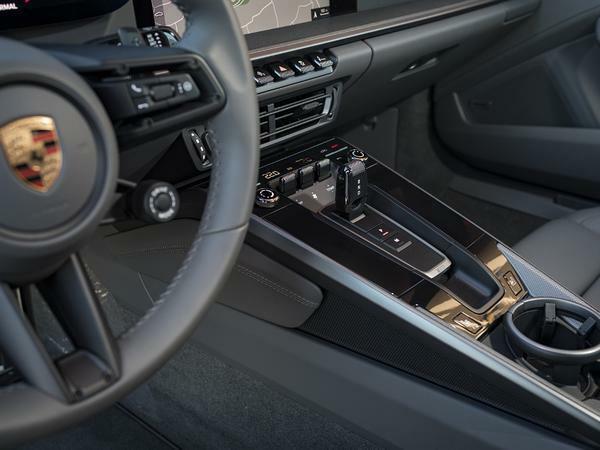 Still, whatever the road scenario, passengers are ensconced in the best 911 interior yet. By a mile, in fact. Of course the important stuff is spot on – driving position, wheel diameter and thickness, other contact points – only now embellished with an even greater sense of material quality and luxury. It feels expensive, contemporary and stylish in a 992, sufficiently so to make a 991 feel decidedly old hat. 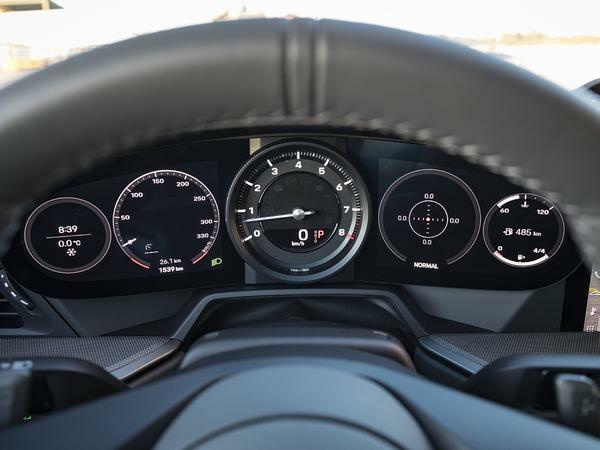 The interior is more logical than that in a Vantage, more advanced even than an R8 and more responsive than any McLaren. It’s really very good indeed. Should it be more exciting? No, not really, because that’s not the 911 way, is it? Which is very much the crux of this car. 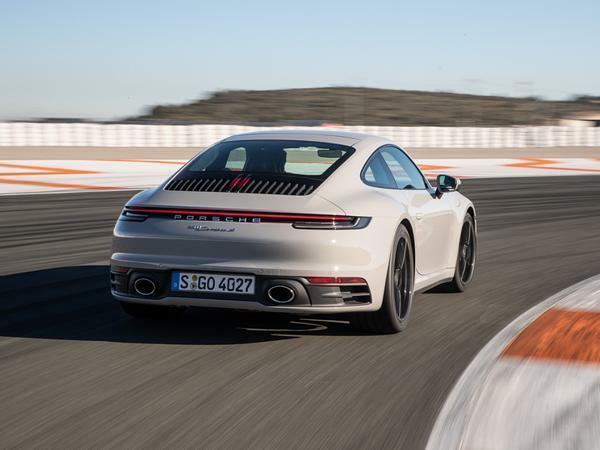 Everything that buyers will have enjoyed about the 991 Carreras – the usability, the quality, the performance, the refinement and so on – has been tangibly improved for the 992. And thus it will surely prove extremely popular. That the car is now even further honed, even more exciting at the limit, will largely be of little consequence. If it’s not been bought for that before, then why so now? There are a few more points worth noting. From here the steering is slightly preferable in two-wheel drive cars to four, the latter giving a sliver of unwanted resistance. The PASM Sport setting is entirely usable on the road, if initially quite firm; truth be told the standard mode is that good, that impeccably damped, that it’s seldom beneficial to swap. Manualrevs or change up at 7,500rpm, which is nice. Any intervention from assists is perfectly judged. For what it’s worth, too, from here it looks fantastic both as a static object and on the move: big, certainly, but assertive, attractive and very clearly a 911. It also, pleasingly, feels excellent going sideways; the sprinkler circuit ostensibly there to test the Wet mode proved so. And that the new mode is very clever, of course, making the car virtually unbinnable in adverse conditions. 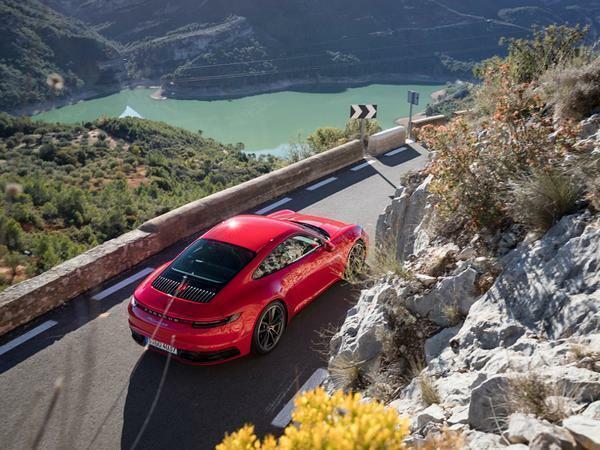 But be in no doubt: beyond the limit the 992 is great, performing that lovely 911 trick of always feeling to be driving forward no matter how wayward things look. Lovely. The end result, therefore, is a 911 update in exactly the mould that was expected, and with predictably impressive results. It’ll go further and faster on less fuel than ever, lap quicker regardless of your skill level, cosset passengers in greater comfort and provide more technology to keep all safer and better entertained. 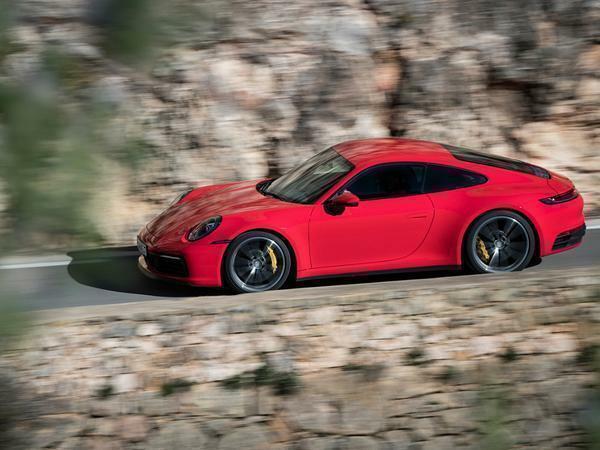 Those who buy 911s for how they drive might be disappointed to find its considerable talents (and fun, it should be said) trickier to access, though how many people is that, really? The truly committed could spend the same money on an Evora, if they really wanted to. For those after the most complete, capable, effortless-yet-enjoyable sports car around though, this 992 has it sewn up – what on earth else did you expect from a 911? ​If you own a Porsche in Greensboro it’s time to Stop Paying High Dealer Prices. We have been saving Porsche owners like you over 35% in Porsche Repairs, Service, and Maintenance. Why Pay High Porsche Greensboro Dealer Prices? Contact our service department (336) 542-3555 or Schedule your appointment online and Save yourself money!